Here's one of our newest 1st grade learning games . Your students are sure to love it! This game gives kids a fun way to practice those all-important first grade sight words. Kids will need to pay attention to the correct spellings of these words, and be able to read these words correctly to succeed in this game. Complete instructions follow. Be sure to note the many variations, too! 1. Each player (or team) selects a different game card. Scrabble tiles are placed either in a draw bag or face down on the table. 2. The player with card 1 goes first. He draws a letter tile at random from the draw pile. He looks to see if he has this letter on his card. If he does, he colors that square with a crayon. He returns his letter to the pile. If a player draws an A, for example, and has two As on his card, he may color both As. 3. Other players follow in order, also drawing, coloring and returning the letter tile to the pile. 4. 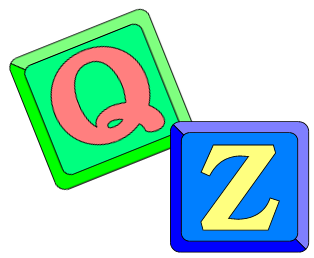 If a player draws a Q or a Z, he draws TWO additional tiles from the pile and colors those squares on his card. He returns all the tiles, including the Q or the Z to the pile. 5. Players continue taking turns until someone has colored all the squares on his game card. 6. When a player has colored all of his squares, he then reads the words on his card to the rest of the players. The others check his work. 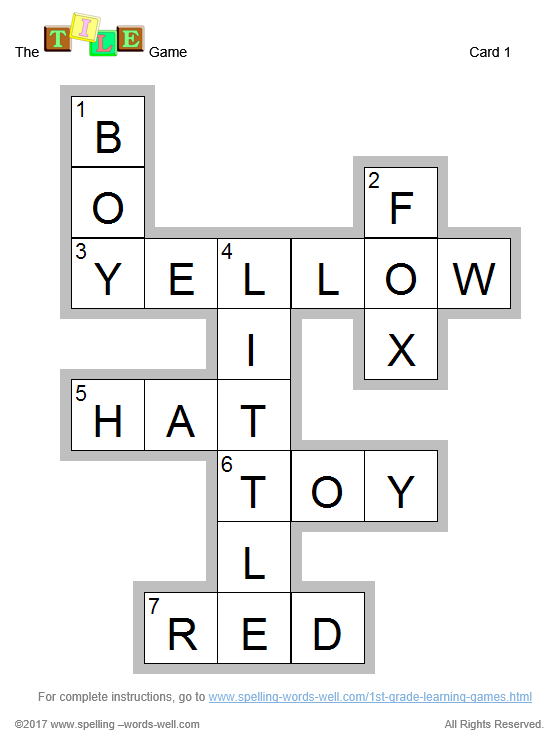 If all words are colored and read correctly, that player is the winner. A. A player must draw a tile for EVERY letter on his game card. That means if a player draws an A and has two As on his game card, he may only color one A. B. Allow each player to draw two tiles on each turn. He selects which ONE tile he will use on that turn.